Bulgaria's foreign ministry dismissed a statement issued by Qaedat al-Jihad in which the group claims responsibility for the terrorist attack against Israeli tourists in Burgas. Bulgaria is thus aligning itself with Israeli and US estimates that the attack was carried out by Hezbollah and not a Global Jihad affiliate. 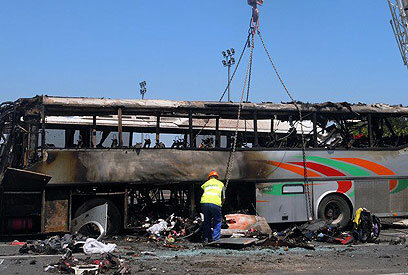 The attack claimed the lives of five Israeli and Bulgarian bus driver and injured dozens. The ministry also confirmed that local police are searching for a second suspect who may have been involved in the planning of the attack. In a statement released in Western media outlets, Qaedat al-Jihad threatened to carry out more attacks. "The month of Ramadan is a month of holy war and death for Allah. It is a month for fighting the enemies of Allah and God's messenger, the Jews and their American facilitators." "One of our groups aided by Allah managed to bomb a bus full of Jewish tourists, plunderers of holy lands, after careful tracking. "The holy war is not confined to a particular arena and we shall fight the Jews and the Americans until they leave the land of Islam." On Friday, the Pentagon echoed Israel's theory that the suicide bombing bore the hallmarks of Iranian-backed Hezbollah operatives. "The attack on a bus carrying Israelis at a Bulgarian airport, does bear the hallmarks of Hezbollah," George Little, the Pentagon press secretary, said. 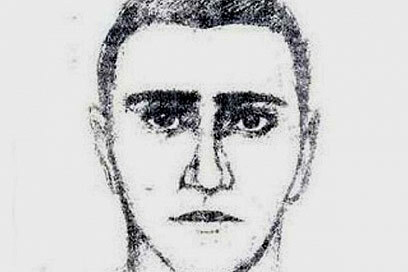 Bulgaria's Interior Minister Tsvetan Tsvetanov, said that the terrorist was a foreign national who was in Bulgaria since Sunday at least. The explosives were placed inside his backpack and detonated at the bus's trunk. On Saturday, Kuwaiti newspaper al-Anbaa reported that diplomatic sources expressed concern that Israel will launch military action against Iran and Hezbollah. The sources said that Israel is looking for an excuse to strike. However, Hezbollah officials ruled this out largely due to the many consequences to the global economy. Nevertheless, they said that preparations should be made for any option. Ynet's defense affairs correspondent Ron Ben-Yishai remarks that the organization is unknown and that its name suggests that al-Qaeda may have been involved in the attack. However, the nature of the attack is in line with methods employed by Hezbollah and Iran's al-Quds forces. The statement appears as a Hezbollah attempt to plant disinformation in the global media to cover its traces. See all talkbacks "Bulgaria dismisses claim of responsibility "